The World Bank Africa Centre of Excellence in Oilfield Chemicals Research (ACE-CEFOR), University of Port Harcourt (UniPort) was established in 2013 to support quality postgraduate training and manpower development in Africa. The ACE-CEFOR offers international graduate programmes for sustainable development in the petroleum industry and is well-positioned to deliver high-quality professional services to the oil and gas sector through capacity building/cutting-edge research for addressing regional development challenges. The objective of the programme is to commit intelligent and talented young men and women within the African region to solve the diverse problems in the oil and gas, and allied industries. WHO CAN APPLY FOR THE Ph.D PROGRAMME? 1. Candidates with the Relevant M.Sc degree of the University of Port Harcourt with a CGPA of 4.0 and above, and a minimum CGPA of 3.0 in their first degree or its equivalent degree from an accredited institution. 2. Candidates must also possess the minimum entry requirements with, at least, a credit pass in Mathematics and English Language in their O’Level certificates. 1. 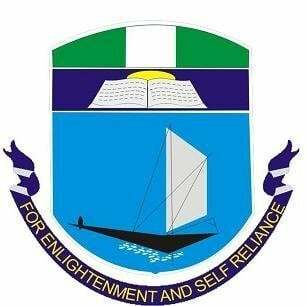 Applicants should visit our website www.aceuniport.org to fill the Application Form or collect form in person from the ACE-CEFOR Office Complex, Opposite Choba Police Station, East-West Road, UniPort. Minimum of twenty-four (24) and Maximum of forty-eight (48)Calendar months of intensive modular taught courses and industry-relevant research project. A non-refundable application fee of twenty thousand naira (₦20,000.00) or one hundred US dollars (US $100) in certified bank draft or online transfer payable to: CPRT UniPort 2, First Bank of Nigeria Plc, Account Number 2031958677. Students have access to audio visual aids, research journals, e-learning and unlimited internet facilities. — All Students have access to EBSCO and Science Direct Journals. – Experts from the Industry. Sponsorship is highly competitive,apart from the fact that the programme is funded by the World Bank, candidates are also encouraged to seek for other funding sources. For enquiries, Call the Admin: +234(0)8037100051, +234(0)8120336477 or E-mail: [email protected].